Probably the most effective description of blowing up a shark with you laser eyes. They missed quoting teh cruizor in full. 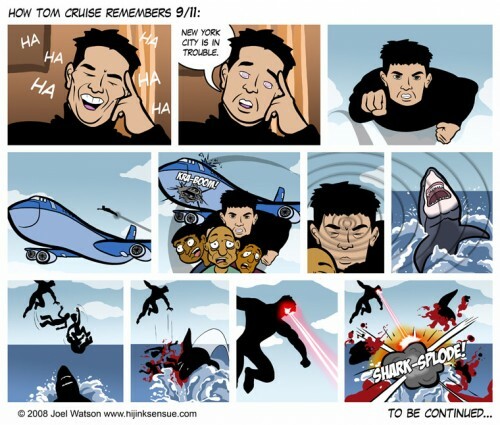 This is how Cruise remembers 9-11 happening.